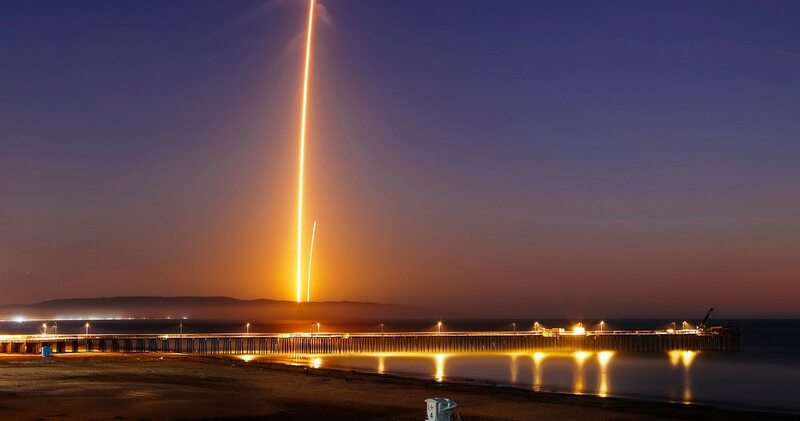 VANDENBERG AIR FORCE BASE, Calif. — When SpaceX launched a rocket carrying an Argentinian Earth-observation satellite from California, both the night sky and social media lit up. People as far away as Phoenix and Sacramento posted photos of the space launch on Sunday night. It was the first time SpaceX landed a first-stage booster back at its launch site at Vandenberg Air Force Base, about 130 miles northwest of Los Angeles. The primary purpose of the mission was to place the SAOCOM 1A satellite into orbit, but SpaceX also wanted to expand its recovery of first stages to its launch site at Vandenberg. The company had previously flown first-stage rockets back to land after Florida launches but had not done so on the West Coast. NASA on Friday assigned the astronauts who will ride the first commercial capsules into orbit next year and bring crew launches back to the U.S. The Air Force warned residents on the central California coast they might see multiple engine burns by the first stage and hear one or more sonic booms as it returned. 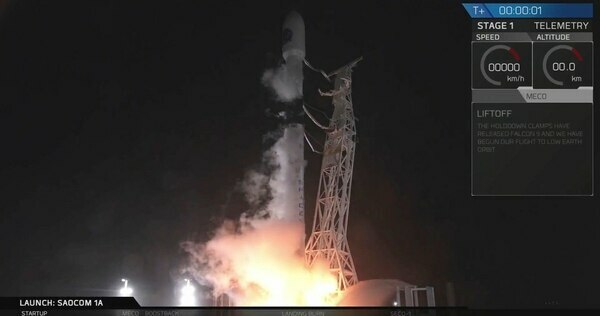 But many were taken by surprise when the launch illuminated the sky, wondering what the otherworldly looking site was. 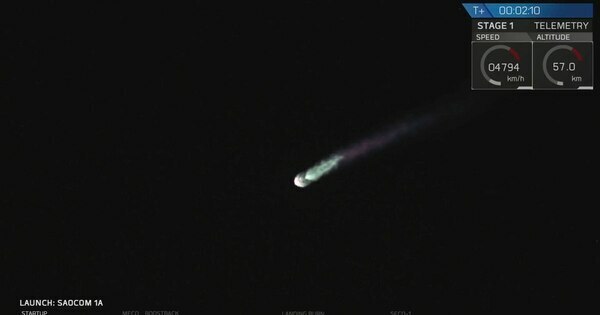 Some speculated it was a comet or an alien aircraft. The satellite is the first of two for Argentina’s space agency, Comision Nacional de Actividades Espaciales, and will work in conjunction with a constellation of Italian space agency satellites. Its name is short for Satelite Argentino de Observacion con Microondas.